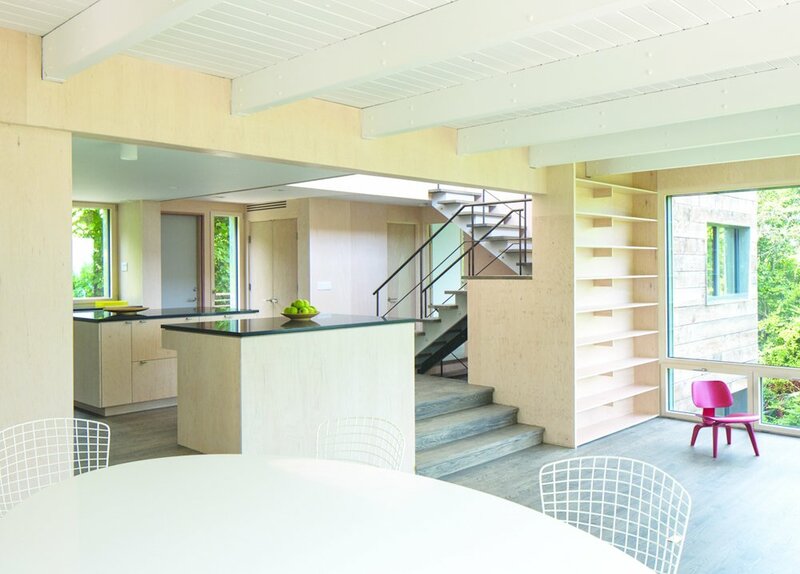 An existing 1970s house was renovated to Passive House standards of construction, though the north-facing views and sheets of glass prevented it from meeting true Passive House energy calculations. The architects, Ryall Porter Sheridan, estimate that its "the second most energy-efficient structure on Long Island." Photo by: Ty Cole.